Happy Birthday Author: Got Books? - What I learned celebrating 50 Authors. Got Books? - What I learned celebrating 50 Authors. Happy Birthday Author has celebrated the birthdays of 50 children's authors. The timing of the Got Books? event offered an opportunity for me to reflect on all the great authors my family has grown to love. I have put together a list of the 50 authors and something I have learned about each. The list below follows the sequence of my original posts. If you are interested in learning more you may click on the author's name. I started this blog in 2007 and originally focused on lessons and ideas I had when I celebrated children's author birthdays in my classroom as a special education teacher. I took about two years off from writing the blog when we had our second child. Within the past 8 months, I have revisited blogging about children's author birthdays as a way to expose my children to a variety of literature. Sharing my reading adventures with my children has allowed me to improve as a writer and learn from a lot of great people. I hope you become of follower of the blog through Twitter, Facebook, Email, or Google Friend Connect. Enjoy the list and share with friends! 1. Brian Pinkney (August 25) illustrates his books using the art technique of scratchboard. He was awarded a Caldecott Honor Medal for his illustrations of the book Duke Ellington: The Piano Prince and His Orchestra by his wife, Andrea Pinkney. He also received Caldecott Honor for The Faithful Friend by Robert D. San Souci. 2. Jack Prelutsky (September 8) was at the young age of 24 when he casually drew a few imaginary animals and wrote a little poem about each. A friend loved the poems and drawings, suggested showing the work to an editor, and shortly after that he published his first book. 3. John Scieszka (September 8) has a website Guys Read that focuses on helping boys become life long readers. My son loves Scieszka's Trucktown books and Robot Zot! 4. Tomie dePaola (September 15) decided when he was 4 years old that he was going to be an artist, write stories, and draw pictures for books. 5. Vicki Cobb (September 19) has written over 80 science books for children. Many include hands-on experiments and activities. My fourth grade students loved doing the experiements from Science Experiments You Can Eat. 6. Shel Silverstein (September 25) won a grammy for the song he wrote, A Boy Named Sue, sung by Johnny Cash. He also was nominated for a Golden Globe and an Oscar for his song I'm Checkin' Out from the movie Postcards from the Edge. 7. Marilyn Singer (October 3) has published over 80 books in the genres of poetry, fairy tales, picture books, novels for children, mysteries for children, fiction for young adults, and non-fiction. She said that she writes in many different genres because "I have so many different parts to my personality, and each part has a different way of expressing itself. Also, I like to challenge myself so that I'll never be bored." 8. Faith Ringgold (October 8) creates art in many different forms including paintings, sculpture, and soft stuffed figures. She is most famous for her story quilts which incorporate painting, quilting, and storytelling. Her first book, Tar Beach , was based on one of her story quilts and was awarded a Caldecott Honor Medal. 9. Crockett Johnson (October 20) wrote Harold and the Purple Crayon which is identified as the favorite book of many children's authors, for example Chris Van Allsburg. It is also my favorite children's book! 10. Lois Ehlert (November 9) illustrates her books through the art technique of collage. She credits her mother and father with providing her the materials and the space (a special art table) when she was younger which helped her develop the skills she now uses to illustrate her books. 11. Marjorie Weinman Sharmat (November 12) had always wanted to be a writer since she was a little girl. She wrote her own newspaper and submitted her stories to magazines. It wasn't until she had her own children that she started writing for children. In 1972, she published the first Nate the Great book. 12. Marc Brown (November 25) came up with the character Arthur , the aardvark, when he was telling stories to his son before bed. 13. Jan Brett (December 1) has a birthday that is perfectly timed for reading her books, because many have a holiday theme or take place during the winter. Some of her books have even compiled into a Jan Brett's Christmas Treasury . She also has a great website with tons of activities - www.janbrett.com. 14. Eve Bunting (December 19) was born in Northern Ireland and her first published book was a folktale she heard when she was little. She now writes a variety of literature for children and young adults. She loves writing picture books hoping to allow the child to "ponder" and ask questions. 15. Mercer Mayer (December 30) published A Boy, a Dog, and a Frog in 1967, which is credited with being one of the first wordless picture books. 16. Phyllis Reynolds Naylor (January 4) wrote the book Shiloh which is the first book in a trilogy . The other books are Shiloh Season, and Saving Shiloh. 17. Kate McMullan (January 16) wrote my son's favorite book, I Stink! . 18. Rosemary Wells (January 29) has one of the best author websites, rosemarywells.com. 19. Denise Fleming (January 31) illustrates her books in the unique art of pulp painting. She was awarded in the Caldecott Honor Medal for In the Small, Small Pond . 20. Judith Viorst (February 2) used her background in psychology to create classic books like Alexander and the Terrible, Horrible, No Good, Very Bad Day and poetry books - If I Were in Charge of the World and Sad Underwear. 21. Jane Yolen (February 11) has been described as a modern-day Hans Christian Anderson or Aesop. She has published around 300 books. 22. Simms Taback (February 13) designed and illustrated the first happy meal box in 1977. Later, he won a Caldecott Medal for Joseph Had a Little Overcoat and Caldecott Honor for There Was an Old Lady Who Swallowed a Fly . 23. Walter Wick (February 23) spilled a bunch of screws, bolts, and odds and ends on his light table, arranged them, and snapped a photo. This photo was the one that landed him the job designing posters for Scholastic which eventually led to the I Spy Series. 24. Uri Shulevitz (February 27) used his talent as an artist to become a great writer. He never looked at himself as a writer, words never came easily to him. To complicate things he was new to the English language early in his career. However, he focused on his strength of visualization and used his art to document the pictures in his mind. The words then came simply and naturally from the pictures. 25. Dr. Seuss's (March 2) birthday is the most celebrated of any children's author. Many retail stores, schools, and communities participate in the Read Across America program. 26. Dav Pilkey (March 4) created the Captain Underpants Series in elementary school when he spent countless hours in the hallway. His friends loved reading the comics when he was allowed to come back to the classroom but often they were torn up by his teacher. 27. 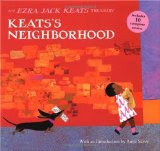 Ezra Jack Keats (March 11) was described as being able to think like a child which is probably most apparent in his books with my children's favorite character, Peter. 28. Bill Martin Jr. (March 20) didn't read his first full book until college. The rhythm of words helped him learn to read. His dear friend, Michael Sampson said, "If he could hear it, he could read it." Bill Martin Jr. often came up with the rhythm for a book before he came up with the words. 29. Kate DiCamillo (March 25) writes two pages per day. This is a "manageable and reachable goal". 30. Doreen Cronin (March 28) took different paths with her popular books Click Clack Moo: Cows That Type and Diary of a Worm. Click Clack Moo, Cows That Type was written in about 20 minutes. Diary of a Worm was actually developed from one scene within a manuscript Cronin submitted to the editor that wasn't cared for too much. 31. Sandra Boynton (April 3) got her start designing greeting cards for Recycled Paper Greetings. Her most popular card Hippo, A Birdie, Two Ewes (Happy Birthday to You!) sold around 10 million copies. 32. Graham Base (April 6) claims to be one of the few authors that has never received a rejection letter. 33. David A. Adler (April 10) views himself not as a great writer, but a great rewriter. Also, he started writing books as a stay at home dad! 34. Beverly Cleary (April 12) wrote about D.E.A.R. (Drop Everything And Read) in Ramona Quimby, Age 8 . A time dedicated to uninterrupted reading everyday in which Ramona described as the "best time of the day." 35. Eileen Christelow (April 22) suggests that ideas to invent your own children's stories are everywhere. "Keep a file folder of clippings from newspapers, stories heard on the radio, family stories, childhood memories, conversations overheard, and nursery rhymes." 36. Ludwig Bemelmans (April 27) drew upon his family members and a bicycle accident to write the book Madeline . Madeline was described by Ludwig's wife, Madeleine, as a character that was much like a mixture of Ludwig, herself, his mother, and their daughter Barbara. Some of the events in the story are from when Ludwig spent time in the hospital. There was crack on the ceiling just like in the book. Also, a little girl across the hall had just had her appendix out and show him her scar. 37. Pete Seeger (May 3) used his music to empower people during the civil rights movement. Pete Seeger was also a talented storyteller and suggests to use funny voices and gestures as you tell a story. 38. Leo Lionni (May 5) wrote is first book while on a train with his two grandchildren. They were starting to get antsy so he tore up pieces of a magazine and created the story that became his first book, Little Blue and Little Yellow . 39. Peter Sis (May 11) was one of many authors inspired by Maurice Sendak. He met him and was drawn to the field of children's literature. His illustrations were recognized with three Caldecott Honor awards. 40. Margaret Wise Brown (May 23) carefully observed children to get ideas for her stories. One of her favorite children to talk to was later included in her will and receives royalties for some of her books including, Goodnight Moon . 41. Candace Fleming (May 24) was a storyteller when she was younger. She often stretched the truth but her parents never squashed her enthusiasm for a good story. 42. Richard Scarry (June 5) said, "I'm not interested in creating a book that is read once and then placed on the shelf and forgotten. I am happy when people have worn out my book or that they're held together by Scotch Tape." 43. Maurice Sendak (June 10), like no other author, is in tune with children's emotions. He is not afraid to write and illustrate books that focus on the emotions of anger, fear, and grief. His won a Caldecott Medal for Where the Wild Things Are and Caldecott Honor for In the Night Kitchen . 44. Chris Van Allsburg's (June 18) first book, The Garden of Abdul Gasazi , came to him after he saw a boy chasing a dog. He described that at that moment he "interrogated" himself about the situation which gave him the basis of the story. 45. Jean Marzollo (June 24) was the editor of the Scholastic Magazine Let's Find Out when she hired Walter Wick to design a few posters for a Back to School campaign. This hiring gave birth to a relationship that created one of most successful children's book series of all time, I Spy. 46. Eric Carle (June 25) constantly told himself to keep his ideas simple. His ideas often started big, but needed to be simplified and then simplified again. 47. Emily Arnold McCully (July 1) was one of many authors that started solely as an illustrator but then succeeded writing her own books. She received the Caldecott Medal for Mirette on the High Wire in 1993. 48. Todd Parr (July 9) shares the message of empowering his readers to feel good about themselves, to celebrate their differences, and to be kind to one another. He is very active on Facebook. 49. E.B. White (July 11) - I remember being read Charlotte's Web in elementary school. His books are great read alouds which inspired the E.B White Read Aloud Award given by the American Association of Booksellers for Children. 50. Laura Numeroff (July 14) came up with the idea for If You Give a Mouse a Cookie while trying to entertain a friend on a long car trip from San Francisco to Oregon. 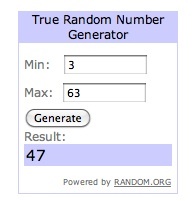 The Winner of the 5 Book giveaway was Anna Sedenka! Thank you to all who participated in the drawing! I was thrilled that many of you signed up as followers of the blog. GotBooks? was fun! So glad to find your blog through the Got Books? Event. What a great resource. I am looking forward to reading future posts! I absolutely love your blog!!! Thank you for this fabulous post!! This is the first time I have been to your blog--what a wonderful way to celebrate the most beloved authors for children. Reading is a child's key to the future! Thank you, I love it! Great job on the post and glad to see your site making am impression on new visitors! Thanks for helping to spread the bookish love...happy reading! This is such an incredible list of authors! Some I've heard of and others new to me, but so glad to meet them! I hope you keep up the great work! Happy 50 "Birthday"! Thanks so much! My children and I would have a lot of fun with some new children's books.